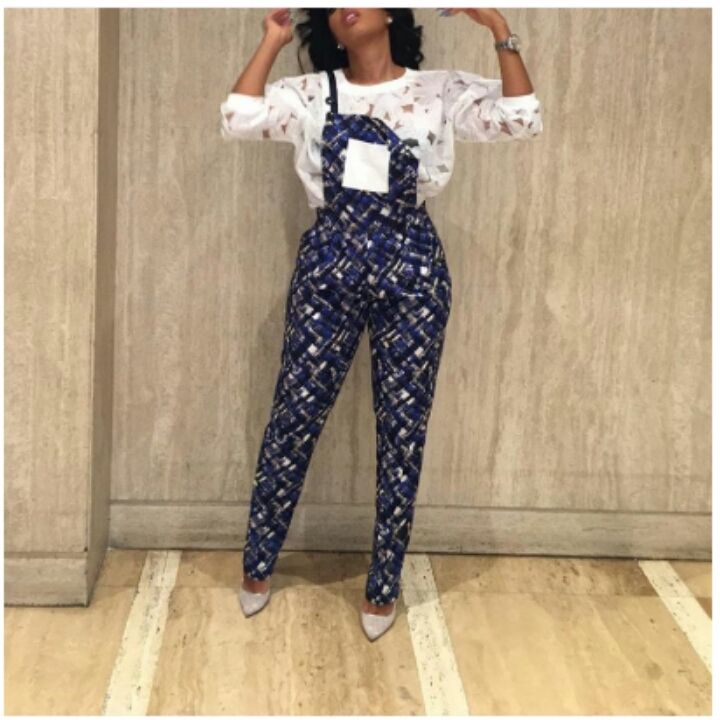 The American reality TV star and fashion designer wore an ankara overall from the Fia factory which she paired with white shirt from @experiencezazaII to a Pepsi event. Both stores are located in Ikoyi, Lagos. One more pic after the cut. That shirt looks like lace material. Lovely.... Ankara ti take over.